Why investing in Malaysia real estate? HomePanduanWhy investing in Malaysia real estate? Are you currently planning to buy a property on your own, whether it is for own stay or for investment purpose? With so many properties for sale right now, making a decision on where you should invest in property can be tough. There are many lands for sale in Selangor as well. This article will guide through the reasons in why you should invest in real estate in Malaysia. Kuala Lumpur is the capital of Malaysia with more than 7 million people. It is a city known for Islamic banking and also one of the most significant place for the oil and gas industries across Southeast Asia. Kuala Lumpur is also a city with different races such as Malay, Chinese, India and Bumiputera. 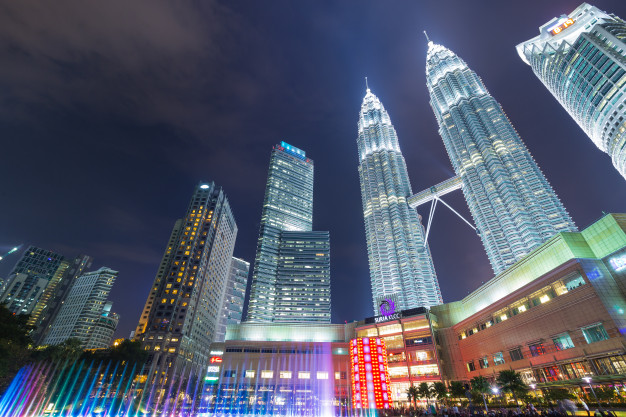 One of Asia’s best skylines - Petronas Twin Towers is found in Kuala Lumpur City Centre. It is surrounded with condominiums, megamalls, hotels and office buildings. Further from Petronas Twin Towers are Pavilion and Bukit Bintang. Hence, properties around it have one of the highest prices in Malaysia. As for KL Sentral, it is the central train station available in Kuala Lumpur. KL Sentral is convenient to both locals and tourists as it allows easy accessibility to and fro the city and the airports. Properties located near KL Sentral is however not as high as properties located in Kuala Lumpur City Centre. Damansara, Bangsar and Mont Kiara are 3 suburbs that are in the west of Kuala Lumpur and will take approximately 15 minutes drive to Kuala Lumpur City Centre. These 3 suburbs are well known with expatriates as well due to various factors such as low crime rate, international schools and western amenities easily available with various diversified restaurants. Moreover, prices for properties in these 3 suburbs are relatively cheaper as compared to Kuala Lumpur City Centre. Petaling Jaya is generally much further down from Kuala Lumpur City Centre. Though not as premium as compared to the above locations, the prices for properties located in Petaling Jaya are much lower. This will make it much affordable to those who prefer having big house with more space. Moreover, there are many shopping malls, restaurants and theme park such as Sunway Lagoon available in Petaling Jaya as well which make it convenient to those staying in Petaling Jaya. There are also many companies located in Petaling Jaya with good security, hence making it a place where expatriates prefer when it comes to staying. Penang is the second largest city in Malaysia where most expats and retirees can be found due to the beaches and relaxed lifestyle. Most of the properties near Georgetown are on the pricey side and the street has a title of “Millionaire’s Row” due to the price of the condominiums and shopping malls available nearby. Recently, properties along the north side and the north east side of the island - Tanjung Bungah, Tanjung Tokong and Batu Ferringghi have become more popular. Though they are not as central as compared to Georgetown, they are more peaceful with a beach view and they have various international schools available as well. Hence, are famous with most expats staying in those locations. As for the southern side of Penang such as Banyan Bayu, it is filled with mostly factories. If you are looking for a long term investment, Banyan Bayu will then be a great place to invest in real estate. Johor Bahru is a state that is located just next to Singapore. A new megacity - Iskandar is currently developing and is known as Malaysian version of Shenzhen. As it is a megacity with driving distance to Singapore, it has attracted many wealthy investors from China to invest in. It is a megacity with amusement parks such as Sanrio Hello Kitty Town and Legoland Malaysia, and well known universities (http://iskandarmalaysia.com.my/education/) such as Newcastle University Medicine Malaysia, University of Reading Malaysia, University of Southampton Malaysia, Raffles University Iskandar, Raffles American School and so on. With many amenities in Iskandar, it has attracted many wealthy Chinese and Singaporeans into purchasing properties in Johor Bahru. That being said, the appreciation for property in Malaysia is much higher as compared to other countries such as Thailand. Moreover, Malaysia has one of the lowest prices per square feet metre for properties although being a developed country. In conclusion, investment property in Malaysia is a good choice as Malaysia is one of fastest growing cities in the world that offers financial advantages and first class infrastructure to make property investment worthwhile. In addition, the rental yields that you receive from your properties in Malaysia are generally higher.